I'm using an old Samsung R580 laptop to create a docker swarm cluster of one. I plan on adding a couple of 1u servers to this later, as I can afford it. Once I'm done testing pfSense on the Asus EEE Netbook, I'll most likely bring it into the cluster as a backup until I'm able to add the 1u servers. Docker has grown a lot over the past few years. During that time I have been seriously playing around with it and using it at work. Docker in swarm mode makes so many things possible quickly and simply. I'll go over the steps for installation and deployment of our docker swarm cluster of one and give some quick pointers and DOs and DONTs. 1 to 1000+ physical hosts, vms, ec2 instances, or whatever will run docker. I'm using ansible to bring it or any nodes I specify in an inventory.ini file into the swarm cluster as either masters or workers. You can easily manually check up on the health of your cluster from the command line with a few simple commands or perhaps corporate only needs a dashboard to look at and doesn't care for your nerdy commands. But sometimes it's nice to have a more visual display. 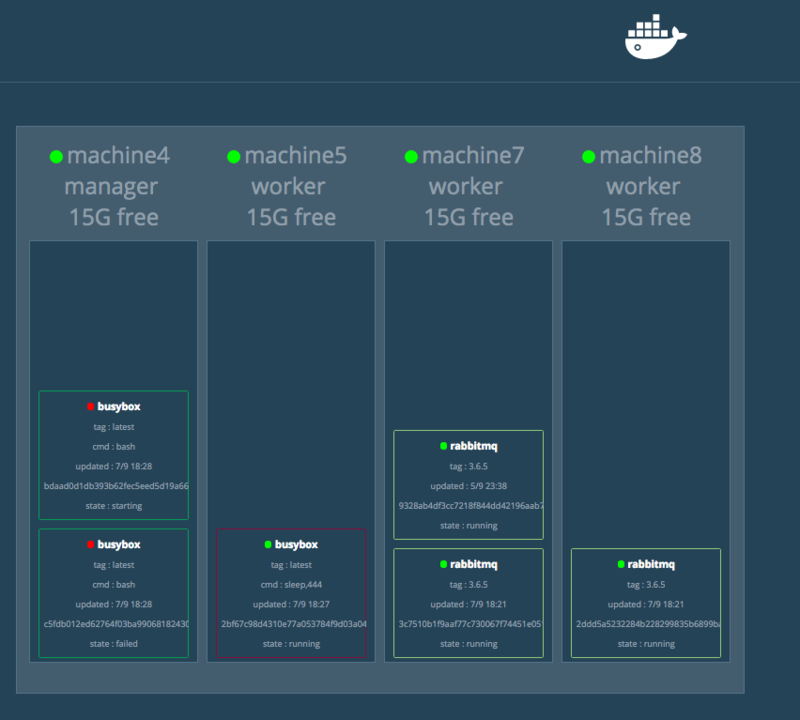 This tool, docker visualiser is just what you need for such a task. With that you should be able to browse to http://localhost:8080 and check it out. Mounting a volume on the local machine at /data/ghost/content, for persistent data retention on a restart of the docker service. For stress testing the system.